The National Organiser of the governing National Democratic Congress (NDC), Yaw Boateng Gyan, has admitted that the voice on a secretly recorded tape of a meeting between suspected NDC loyalists and a top party functionary scheming about the 2012 elections is indeed his. He however insists the conversation had nothing to do with the New Patriotic Party (NPP) and also contained no diabolical plans for the December poll. 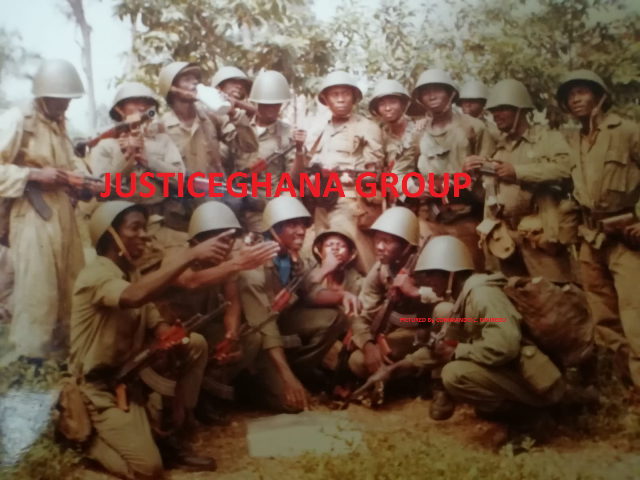 The 35 minute tape, suspected to have been recorded during a meeting at an unknown location, has Mr Boateng Gyan telling the audience about the party’s plans to draft them into a Special Force whose members would later be given National Security identification cards to enable them to move freely and cause trouble in some parts of the country during the national elections. He noted that plans were far advanced by the party to issue the National Security ID cards to them, but the NDC was being careful due to the manner in which some of them behaved in public some time ago when the party engaged their services. According to the voice, the National Security office would, at the eleventh hour, complain about lack of staff to properly police the December poll, and the NDC would then quickly push the Special Force members into the National Security for training so that they could work for the party under the guise of being National Security operatives. The voice also charged them to find out the likely effects of the formation of the National Democratic Party (NDP), which had just received its provisional certificate from the Electoral Commission, on the chances of the NDC in the December 7 polls. The NDP was formed by disappointed or disgruntled former members of the NDC. Former First Lady Nana Konadu Agyemang Rawlings is believed to be behind the formation of the party. However Mr Boateng Gyan, speaking on Adom FM’s Dwaso Nsem morning show on Wednesday September 5, 2012 insisted he did nothing wrong in seeking to find the likely effects of the formation of a new party on the NDC electoral chances. He also expressed doubt about the veracity of parts of the tape, suggesting it may have been doctored. “I am the National Organiser of a national party with two deputies, and we cannot be everywhere, so it is only natural that we have people who go out to gather information for us. Any party that does not have such a mechanism is not serious. “This was a conversation with such persons to find out those behind the formation of NDP and NDC persons who want to leave to the new party so we can approach them and talk to them to rescind their decision. Everybody knows the people who make up the NDP are all members of the NDC, and as a party we have to be concerned about people leaving our party. However, MP for Assin North, Kennedy Agyapong, insisted that the conversation, which was initially about the effects of the formation of the NDP, eventually developed into “dangerous” plans to create violence and chaos and link it to NPP flagbearer Nana Akufo-Addo’s call of “All die be die,” meant to encourage his party faithful but seen as others as a call to arms. Mr Agyapong also claimed the young men at the meeting, aware that the training and assignment they were being sent to was dangerous, asked for provision to be made for their wives and children in the event of their death. “There were also references to me and my lawyer Ayikoi Otoo and plans to deal with us” he alleged. However, Mr Yaw Boateng Gyan maintained his innocence, although he acknowledged that the two names were mentioned at the meeting. He hinted that he also had a secretly recorded tape of the late President Mills engaged in a damning, heated argument with an NDC member. The tape, he said, was sent to him by someone very close to the late president.